Gastronomy is the art of preparing, presenting and consuming food. While a preoccupation with food and eating would be linked to craving, this need not cancel out the idea of favoring nutritious food, presenting it in a hygienic and appealing way and consuming it with appreciation. 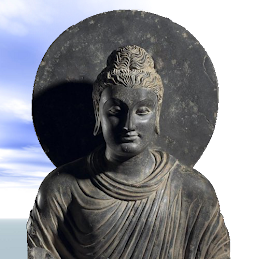 The Buddha spoke of several principles and ideas that pertain to gastronomy. According to the Western understanding there are four basic or ‘primary’ tastes – sweet, bitter, sour and salt. 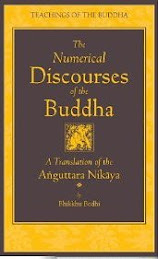 The Buddha recognized these tastes but added four more making eight basic tastes (mula rasa) – sweet (madhura), bitter (tittika), sour (ambila), salt (lonika), pungent (katuka), savory (kharika), mild (akharika) and bland (alonika, S.V,149). This more subtle understanding of tastes, allowed cooks a wider combining and contrasting of tastes thus giving rise to a richer and more varied cuisine. As far as preparing and cooking food is concerned, the Buddha said that a skilled cook (rasaka or suda) will carefully observe his costumer’s or employer’s reaction to his preparations and adjust his recipes accordingly. He should think like this, Today he liked this curry, he reached for that, he took a good helping of this, he praised that, the sour curry pleased him.’ (S.V,151). Such ideas eventually led to the development of a distinct ‘Buddhist’ cuisine. 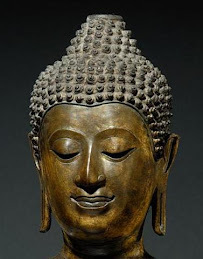 Although the Buddha did not advocate vegetarianism it seems that early Buddhists gravitated towards a meat-free diet or only ate meat occasionally. This was partly because of religious scruples and partly economic, meat being expensive. And like the Jains, they favored non-root vegetables – fruit, grains, pulses, leafy vegetables, etc. – because they did not require digging and thus the possibility of killing creatures living in the earth. However, within a few centuries Buddhist cuisine was absorbed into general Indian tradition of cookery which was influenced by ideas of ‘clean’ and ‘unclean’ foods and Ayurvedic concepts. An important part of gastronomy is table etiquette. The Tipitaka gives us a detailed description of how the Buddha eat which points to what he considered to be gracious behavior while eating (M.II,138). The Vinaya too, contains several rules that pertain to table manners. In countries beyond India where Buddhist became established, particularly in the Far East, a distinct Buddhist gastronomy evolved, becoming and remaining even today very influential. These culinary traditions are usually entirely meat free, they avoid pungent vegetables such as garlic and onions in accordance with the Buddha’s instruction not to eat these vegetables (Vin.II,139). Such cuisine is called ‘vegetable food’ (zhaicai) in Chinese and do chay in Vietnamese, ‘devotion food’ (shojin ryori) in Japanese and ‘monastery food’ (sachal eumsik) in Korean. You wrote: "These culinary traditions are usually entirely meat free, they avoid pungent vegetables such as garlic and unions in accordance with the Buddha’s instruction not to eat these vegetables (Vin.II,139)." Is it taken from the Cullavagga? If I understand correctly, the reason the Buddha instructed the monk not to eat garlic because it's pungent and its smell may affect other monks while listening to the Buddha's sermon. It's not clear (at least to me) if He allowed the monk to eat garlic in other circumstances where there was no meeting, no group gathering, no Dhamma talk, etc. In addition, in the following paragraph of the Cullavagga, the Buddha allowed the monks to eat garlic for medical reasons. But root vegetables must have nutrients and medicinal goodness too. Lotus root is one of them. Dear Susan, yes the reference is to the Cullavagga. From its earliest mention in Indian literature (the Vedas I think) garlic has been condemned. To the best of my knowledge, no satisfactory explanation has been given for this strange taboo, which is sometimes extended to onions and leeks too. I suspect that when the Vinaya was composed, whoever did compose it, forbade monks and nuns to eat garlic in according with prevailing op practice while trying to give a rational reason for the taboo, e.g. that its smell might offend others while listening to sermons. But like so many ancient taboos, the earliest Buddhist acquiesced to them for social reasons but allowed transgressing them for good reasons. Thus the Vinaya’s rule that you can eat garlic for medicinal reasons. Despite this more reasoned attitude to the anti-garlic taboo, social norms prevailed and eventually Indian Buddhists, like their neighbors, avoided eating garlic. The taboo is still widespread in India and almost universal amongst devote Chinese Buddhists. 1) In the Vinaya's Cullavagga, I understand that eating garlics is considered as only a minor offence (dukkata). 2) A friend told me that in some Mahayana sutras, it is forbidden to eat 5 kinds of pungent roots (Skt: panca-parivyaya ? ): 2 types of onions, garlics, chives, and leeks (these English names may be incorrect). If eaten in raw form, it may increase the anger tendency. If eaten on cooked form, it may increase the sensuous desire. However, I wonder if these explanations are medically proven? It is a minor offence, very minor. And like I said, its just an old taboo without foundation. An interesting article. Can you recommend any Buddhist cookbooks? On those offending onions and garlic - I have a few vegetarian cookbooks (I once was one) and a couple of these avoid recipes with garlic and onions. One of those cookbooks you might be vaguely familiar with - Cooking With Kurma. 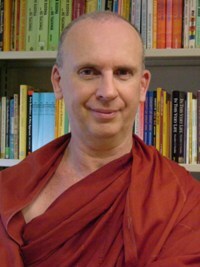 Kurma Dasa is a bit of an vegetarian celebrity in Australia (he had a TV series in the 90s), and he is also a Hare Krishna. 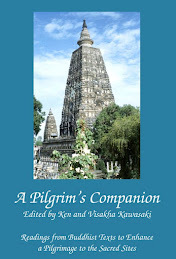 Although he doesn't specifically mention the omission of onions and garlic in his recipes, I have, another book, based on the same "Bhakti Yoga Diet"
In it they mention that onions and garlic are "tamsic" or unclean, and have a toxic effect on the mind and body, and have a stimulating effect on the mind that is counter productive to meditation. Yes, like Paul's comment above, I have read that garlic in particular has a stimulative effect, namely that of an aphrodesiac. If that's the case, I guess if you're a celebate monk you'd steer clear of garlic! I know of no cookbooks from ancient India. However, Huou’s famous ‘Important Things to Know About Eating and Drinking’ (13th cent) includes recipes and I’m sure there must be similar books from China, Korea and Japan. Kurms Das’ avoidance of garlic and onion is of course in line with the general Indian taboo. However anyone who has ever spent time in India will know that onion is widely eaten. It is only deeply religious people and very orthodox Brahmans who won’t eat them nowadays. what goes into the mouth is not important, what comes out from it matters more. i like my garlic and onions...the only thing that arises in me is bad breath and gas.